Stock status is current as of 4/26/2019 2:37 AMET. 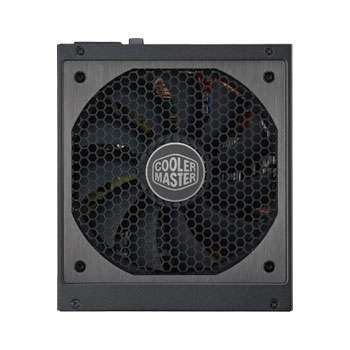 Enjoy uninterrupted computing when you have the Cooler Master Power Supply. 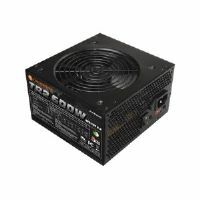 The Cooler Master Power Supply is certified 80+ Gold compliant as it delivers the right amount of energy to your computer. It also dissipates overheating without creating much noise, thanks to its built-in 135 mm. Fan. 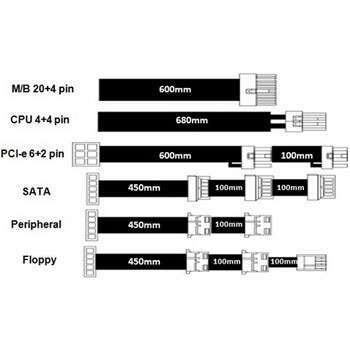 Its full modular cable design offers easy and fast connection with your computer. 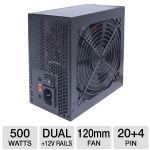 Expect continuous computing when you purchase the Cooler Master Power Supply today! 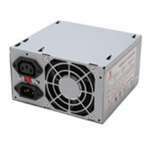 Cooler Master developed the V-Series to re-ascertain its position as the world's top power supply brand. 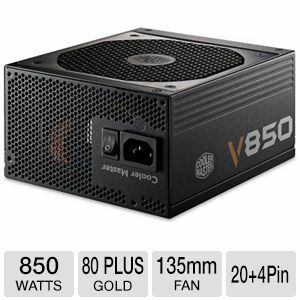 Based on a new platform, V-Series power supplies feature outstanding efficiency (especially at typical low idle loads), excellent hold up times, voltage stability, and ripple suppression. 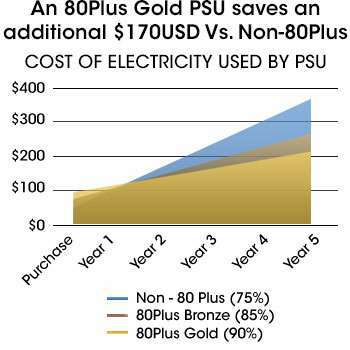 In some cases, V-Series PSUs have been shown to surpass even Platinum level testing. Only the highest grade Japanese capacitors are used, most of which are solid capacitors, as well as a massive high quality 42mm transformer. 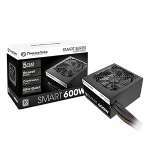 The V-Series energy efficient power supplies help reduce your electricity use and bill with up to 93% efficiency at 50% load. A completely modular design allows you to use only the cables that you need. Extra slim flat-ribbon cables make it easy to maintain a nice, clean setup inside your computer case. A 135mm Fluid Dynamic Bearing (FDB) fan helps keep internals running cool. A thin film of oil constantly separates the metal components of the bearing structure, resulting in extremely quiet fan operation and longevity. 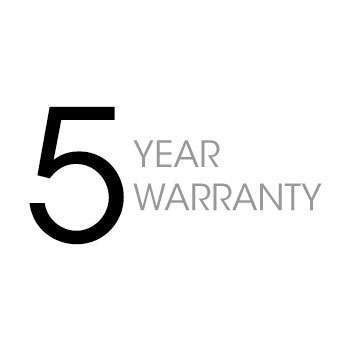 Rest assured knowing that your V-Series power supply is backed by a 5-year warranty. 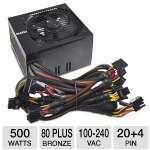 Which V-Series Power Supply is Right for You?